Inspired by her pediatrician father, massage therapist in Portland Oregon, Kari Asher, had her eye on a career in the medical field since she was a youngster. Told by her older sisters, recipients of her frequent massages, that she had good, firm hands encouraged her toward the healing art. Asher studied massage at the East West College of Healing Arts for a year and then tacked on another six months of additional training in sports massage, deep tissue, and muscle energy techniques. 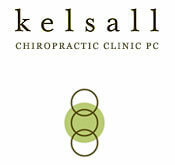 At Kelsall Chiropractic since 2004, her practice consists of trigger point therapy and issue-specific injury management. “When you bring healing to one part of the body, it can dramatically change the entire body’s health,” she says. She has also recently incorporated a Chinese fascial release technique called Gua sha into her practice. The physiological benefits are well-documented for massage — increased circulation and lymph flow, support of joint mobilization and attendant flexibility, and decreased stress levels. Asher is quick to point out that the human touch is healing in and of itself. As a professional massage therapist in Portland Oregon, Asher encourages patients to bring physical activity into their lives. In particular she likes stretching, yoga and Pilates, to increase flexibility and core strength. She calls attention to patients’ posture, and as a proponent of well-hydrated muscles, she sends her patients off with a bottle of water or two. Asher and her husband are self-described homebodies. With her cat looking on, she experiments in the kitchen and likes to read. Taking her own advice, Kari does Pilates to keep her core strong. Sports medicine intrigues Kari who enjoys the model of working in conjunction with health providers to help an individual rehabilitate from an injury. She is especially enamored by the idea of working with professional sports teams and helping elite athletes perform to their peak ability. To learn more about our treatments offered and our massage therapists in Portland, Oregon, contact us today at (503)-223-8719 or schedule now.